Bell Inn in Westwood has a beer garden. The pub has a car park, it has disabled facilities. Bell Inn is a family friendly pub. The pub serves food, it serves real ale. Bell Inn has free WiFi. The pub is a member of Cask Marque. 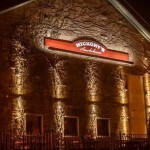 Hickory’s is a Southern style smokehouse where you will be able to enjoy a traditional style of cooking that has its roots in the Southern states of the US. We think it deserves to be just as popular over here. Westwood Club in Westwood has a car park. The pub serves food. Black Prince in Woodlands serves food. The pub serves real ale. Hawthorn Tree in Coventry has a beer garden. The pub has an outside area. Massey Ferguson Sports & Social Club in Meriden has a beer garden. The pub has a function room that can be booked, it has an outside area. Massey Ferguson Sports & Social Club has a dart board. The pub has DJ's, it has karaoke. Massey Ferguson Sports & Social Club has live music events. The pub has a pool table, it holds quiz nights. Massey Ferguson Sports & Social Club has a big screen. The pub shows football on TV, it has Sky Sports. Massey Ferguson Sports & Social Club has terrestrial TV. Poachers Retreat in Coventry has an outside area. Unicorn in Woodlands has a beer garden. The pub has a car park, it has disabled facilities. Unicorn is a family friendly pub. The pub serves food, it has an outside area. Unicorn serves real ale. The pub is a member of Cask Marque. Wing Wah Restaurant in Westwood has an outside area. The pub has a smoking area, it has free WiFi. Vale in Coventry has a beer garden. The pub has a car park, it has disabled facilities. Vale is a family friendly pub. The pub serves food, it has an outside area. Vale serves real ale. The pub is a member of Cask Marque. Varsity Warwick in Coventry has a beer garden. The pub has a car park, it has disabled facilities. Varsity Warwick gives a warm welcome to dogs and their owners. The pub is a family friendly pub, it serves food. Varsity Warwick serves real ale. The pub has a real fire, it has free WiFi. 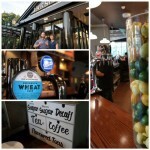 Varsity Warwick is a member of Cask Marque. Railway Inn in Balsall Common has a beer garden. The pub has disabled facilities, it serves food. Railway Inn has an outside area. The pub serves real ale, it has a real fire. Railway Inn has a smoking area. The pub has free WiFi, it has live music events. Railway Inn holds Poker Nights. The pub shows cricket on TV, it shows football on TV. Railway Inn has the Racing Channel. The pub shows rugby on TV, it is a member of the BII. Railway Inn is a member of Camra. The pub is a member of Cask Marque, it is for sale. Minstrel Boy in Whoberley has a beer garden. The pub has a car park, it has an outside area. Minstrel Boy has a smoking area. The pub has free WiFi, it has a dart board. Minstrel Boy has a pool table. The pub has a big screen, it shows football on TV. Minstrel Boy has Sky Sports. The pub has terrestrial TV. 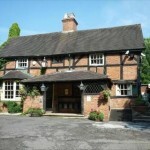 The Brickmakers Arms is a beautiful 17th Century Inn. Under new management since April 2014 and now open every day from midday and serving fantastic home made food! Families and dogs welcome and there is also a huge beer garden. Phantom Coach in Westwood has a beer garden. The pub has a car park, it has disabled facilities. Phantom Coach is a family friendly pub. The pub serves food, it has an outside area. Phantom Coach serves real ale. The pub is a member of Cask Marque.